The title of this Soviet film Bread, Gold, Gun (Khleb, Zoloto, Nagan) just about covers what happens in this action-packed adventure set during the Civil War era. I’ve come across a couple of Soviet films to date that depict the same scenario–a race against time to deliver gold (sometimes stolen) to the beleaguered Bolshevik forces so that they can win the day and beat the forces of the White Russians. Add this film to the sub-genre. I expect it has a name, but for the purposes of this blog, I am going to name this the Bolshie-Banditry sub-genre. Ok, here’s the premise. Loyal Bolshevik party member and Moscow orphanage director, Olga obviously a formerly pampered member of the privileged classes, is given an assignment to deliver 3 sacks of grain to the starving children under her care back in Moscow. A sailor, Sasha, is ordered to accompany Olga on her mission. He’s more than a bit resentful at having to guard a young bourgeois and he initially sees his role as a servant or underling and this makes him taciturn and uncooperative. As the two suffer through a series of hardships, they form a bound which acknowledges their shared morality and political goals. At the same time, a Chekist officer is given three gold bars to deliver to the Bolsheviks. This gold will, of course, determine the outcome of the civil war. All the characters converge on a train station as they try to make a connection to Moscow, but here they are ambushed by a sneaky party of Whites. The Chekist is killed but he hands over the bullion to stationmaster Zaytsev. Olga, Sasha, and Zaytsev are joined in their escape from the train station by another Chekist officer, the steely-eyed Gorbach. At first they seem to be safe, but then they run slap bang into a nest of bandits. We really had a lot of fun with this film. For some reason, these Bolshie-Bandit films have the air of a spaghetti western. In one scene for example, as the four characters flee from the train station, the bandits appear up on top of a hill. Remember how the Indians would always appear on the hill and look down on the wagon train? Well the same moment occurs here. Also in a later part of the film there’s a long back and forth chase sequence through a small narrow village with the Reds in a car and the Whites on horseback. I’m telling you, it’s just like one of those old cowboy and indian films. The only thing that’s missing is John Wayne. Instead we get a sort of John Wayne–except here he’s a narrow-eyed, cool customer who’s the Chekist Gorbach, and of course he’s the hero of the film. Some of the film’s very best scenes occur in the bandit lair. The Whites are not portrayed altogether unsympathetically but when it comes to heroics, no one comes close to the cold steely courage of the Chekist officer–a man the chief bandit describes as a psycho. 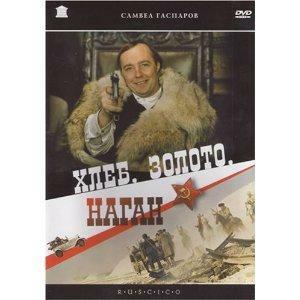 But in spite of the Chekist heroics, Arkady the bandit leader steals the film. He displays a fastidiousness that is diametrically opposed to his sadistic behaviour, and of course his amorality and love for money is also seen in contrast to those willing to die for their respective causes. One of the things I enjoyed about this escapist film is that its romanticism is found in the tale itself and in the sacrifices the characters make for each other–not in some drippy smoochy scenes. Great stuff! If you are a fan of Bulgakov’s satire Heart of a Dog, or if you just want to watch a fantastic film produced right at the tail end of the Soviet Union, then do whatever you can to watch Vladimir Bortko’s 1988 film, The Heart of a Dog (Sobachye Serdtse). Faithful to the novel and lovingly transferred to the screen, the film is a hilarious attack on the New Soviet Man. The film is set in 1924-1925 during the NEP. NEP (an acronym for New Economic Period, 1921-1928), allowed small businesses to open and operate for profit. This was an in-between phase in a country still in a state of flux–after the massive blood-spilling from the years of Revolution, and before Stalin came to power and systematically arranged for the murders and starvation of millions of Soviet citizens. The film begins with a snow scene in the streets of Moscow and a voice-over narration by a stray dog as he wanders aimlessly looking for food. The dog’s thoughts are bleak and point towards a painful death–after all with people starving what are the chances that he’s going to be fed. The dog walks past lines of people waiting for food and he encounters gratuitous cruelty at the hands of passers by. But then the dog has a stroke of luck when he’s found and adopted by a kindly, elderly doctor, Professor Preobrazhensky (Yevgeniy Yevstineyev) who takes the dog back home to his large apartment which also functions as a surgery. He names the dog Sharik and insists that his servants treat the dog kindly. Sharik seems to have landed on his feet. But the Professor is a quack, and he’s patronized by the wealthy and powerful to combat the effects of aging through preposterous operations–for example, for a middle-aged patient with a young lover, he operates to implant monkey ovaries. All this quackery serves the Professor well. He has a great reputation, a young admiring assistant, Dr. Bormental (Boris Plotnikov), and a 7-room apartment in a large house. The Professor enjoys a good life, ignoring the Bolshevik Revolution and concentrating on art, food and comfort. But the Revolution has not forgotten the Professor, and the resident House Committee arrives one day to oversee the “reallocation of living space.” Members of the House Committee share the house with the Professor, and these Bolsheviks don’t understand how the revolution can have taken place while men like the professor still commandeer positions of privilege. But while the proletariat argue with the Professor about whether or not he will give up one of his seven rooms, the Professor simply gets on the phone with a patient who is a leading Commissar, threatens to cease his operations, and The House Committee is forced to back off. With his surgery suite intact, the Professor moves ahead with his plans, and he operates on Sharik, implanting the pituitary gland and testicles of a dead troublemaker. The dog survives, and the Professor proudly announces his ‘miracle operation,’ which he claims is a “revolution in medicine.” The results are both hilarious and unforeseen as the dog becomes more and more human. But once human, Sharik starts exhibiting some unfortunate characteristics. The Professor’s quiet orderly life is in chaos as the brutish Sharik renames himself Poligraf Poligrafovich, starts taking Bolshevik lessons and then begins demanding his rights. Heart of a Dog is one of the funniest films I’ve ever seen, and the humour occurs on multiple levels: here’s the Professor who thumbs his nose at the Revolution and is able to ignore it, creating a safe, sumptuous refuge for himself in his home. The most annoying reminder of the revolution is the fact that the Professor is forced to be a neighbour to the noisy proletariat who insist on singing party songs all hours of the day and night, and who leave muddy footprints on the floors. But then ambition and his absurd quackery cause the Professor to experiment, and the result is that he creates an uncouth, coarse, smelly, scratching, cat-killer member of the Proletariat, and in the process, the Professor brings the Revolution into his home with catastrophic results. The film also raises some interesting moral questions: has the dog become a ‘real’ human? What rights does he have? Can he be evicted or euthanized? All these questions are wrapped up in some of the funniest cinema ever created, and while the story may seem absurd, it works, and it works brilliantly. The film is in black and white and its grainy look gives the sensation that the film is much older than it actually is. The acting is uniformly superb. If you enjoy Soviet cinema or love Bulgakov’s novel, then you will not be disappointed in this wonderful adaptation. If you don’t have an issue with subordinating the Russian revolution to a love story, then the epic film Admiral is a feast for the eyes. But if you expect Admiral to be heavy on politics or historic events, then you may be disappointed in this visually stunning film from Andrei Kravchuk. If you simply want to enjoy the film, it’s best to approach Admiral for what it is–rather than what it isn’t, and basically Admiral is an epic love story of two people whose lives are defined by the backdrop of the Russian Revolution. The Admiral of the title is Admiral Kolchak played with icy toughness by Konstantin Khabenskiy, and the film begins wisely by establishing the sort of man Kolchak is. It’s 1916, WWI and a Russian battleship is setting mines when a German ship appears on the horizon. A battle commences and severely outgunned, the Russian ship takes a beating. It’s the cool head and strategic military thinking of Kolchak that saves the day, designates him a Naval hero, and brings him honour from the Tsar. The film follows Kolchak, as he becomes Commander-in-Chief of the Black Sea Fleet and at pivotal points in his life while the story focuses on the tentative love affair the married Kolchak has with equally married Anna (Elizaveta Boyarskaya). It doesn’t take a great deal of observational powers for Kolchak’s wife, Sofia (Anna Kovalchuk) to deduce that her husband is in love with Anna (and indications are that love affairs for Kolchak are a regular event), but Kolchak takes the ‘noble’ road and tells Anna that their love affair cannot be. This begins a relationship that’s maintained for some time just by letters. Meanwhile, the Russian Revolution is shaking the country to its foundations, and we have glimpses of Kronstadt, scenes of the Petrograd Soviet, the massacres in Sebastopol, Kolchak’s relationship with the Provisional Government, and Kolchak’s role as Supreme Ruler of Russia. Simultaneously, the film follows the love affair between its protagonists while the revolution wears on, so we have one scene for example, when Anna won’t leave Sebastopol (in spite of the slaughter of officers by Bolsheviks) simply because she is expecting a letter from Kolchak. Eventually, however, with Sofia living in exile in Paris, Anna and Kolchak, throw caution to the winds and begin a brief life, such as it is, together. The film avoids political statements while touching on the sweeping brutality of the times, and the brutality focuses on the violence of the Bolsheviks. Some of the best scenes depict the wholesale class slaughter taking place, and the film’s cinematography excels at the underwater scenes. Particularly poignant (and accurate) are the scenes of the bodies of officers under the water at Sebastopol. An 1918 account from a diver who was sent to retrieve the body of a murdered officer recounts seeing the bodies of hundreds of freshly dead, weighted by stones, swaying in the sea. This unnerving sight was powerfully recreated for the film, and the imagery of the secrets held by water is a recurrent theme throughout the film, culminating in Kolchak’s eerie watery grave. Kolchak, as a leader of the White Russian forces intent on property protection and class privilege, was a ‘baddie’ as far as 20th Century Soviet history was concerned, and now the film seems to be an attempt at an image makeover as part of a celebration of Russian history. It’s ironic that Kolchak went from being a villain to being a saint or at least a flawless hero. Glaringly absent is any reference to Kolchak’s brutal methods of suppression, particularly in Siberia. There are no scenes of villages being burned while peasants are tortured and slaughtered. Personally I had issue with this almost complete lack of detail especially since the film shows scenes of the Bolshi mayhem and mass slaughter. Since this film will be the introduction to Kolchak and in many cases the only knowledge a great number of people will have of the White Russian commander, one must ask whether or not it’s ethical to portray Kolchak in such a bleached out manner. There’s a lingering romanticism that attaches itself–at least in the West–to White Russians, and while I am certain most Westerners could sniff out a Red Bolshi propaganda film, I’m not convinced that the Whites are subject to an equal evaluation. I think Russian cinema is making some very exciting films these days, and it’s sobering to think that just a few decades ago those associated with the film could have been dragged off to the gulag. So with the Cold War gone, and the Iron Curtain ripped asunder, Kolchak is no longer vilified but glorified. Note here that I am not trying to place the sins of the Whites or the Reds on to some sort of sliding scale of evaluation; I am noting the swinging doors of political ‘progress,’ the shift in acceptable attitudes and a sad lack of historical accuracy. If you watch Admiral, do yourself a favor and check out the Hungarian film The Red and The White–a film that does a marvelous job of showing the interchangeability between both sides when it comes to senseless violence. October (10 Days That Shook the World) written and directed by Sergei Eisenstein and Grigori Aleksandrov was commissioned by the Soviet Central Committee to commemorate the 10th anniversary of the Bolshevik revolution in Russia. As such, the film is a landmark slice of propaganda depicting the events of 1917, a relic not just for film lovers, and it’s a remarkable piece of revisionist history too. The black and white silent film is told in documentary style and focuses on the efforts of the provisional government to maintain the country after deposing the Tsar in February 1917. The film was made in 1927, and by that time, Lenin was dead, and Trotsky–one of the main figures behind the Bolshevik revolution was already in the hot seat with Stalin and was effectively being cut out of the Soviet political system. German director Volker Schlondorff has a knack for realism when recreating almost forgotten slices of history. The film Le Coup de Grace based on the novel by Marguerite Yourcenar, is set in the Baltic States between the years 1919-20. WWI may be over, but the fighting continues for the Prussians and the Bolsheviks. When the story begins, Prussian officer Konrad de Reval (Rudiger Kirschstein) returns to Kratovice–the family castle in Latvia–accompanied by fellow soldier Erich von Lhomond (Matthias Habich). The castle serves as the ex-facto headquarters and stronghold for the Prussian army in the region, and Konrad’s sister, Countess Sophie de Reval (Margarethe von Trotta–director Schlondorff’s wife) lives there with an elderly aunt and various servants. Sophie is immediately attracted to Erich, and while he initially encourages her attentions, he ultimately rejects her–claiming he prefers brief relationships with servants and prostitutes. Sophie accuses Konrad of being “incapable of passion”, and tells him “you cling so tightly to life.” Once rejected, Sophie engages in a series of self-destructive affairs with the accessible pool of various other officers stationed at the castle. Sophie’s flagrant flaunting of her affairs under Erich’s nose makes a joke out of his stiff personality and his attempts to impose disciple. It’s an unhealthy situation resulting in petty rivalries, jealous scenes and ultimately–betrayal. But is Sophie motivated by Erich’s rejection or by her sympathy and relationships with Bolsheviks? Le Coup de Grace is–simply put–mesmerizing. All the repressed passion between Sophie and Erich is set against the bleak, frozen landscape. In contrast to the bleak terrain, the characters try to forget that death surrounds them by living in the moment–organizing parties, dancing and gathering mistletoe. One scene shows a line of soldiers trudging through the snow, and the next shot shows the same empty landscape–without the soldiers. This scene is the essence of this marvelous film–a final glimpse at the dying embers of the world of Teutonic knights. Criterion DVD extras include an extensive interview von Trotta and Schlondorff. 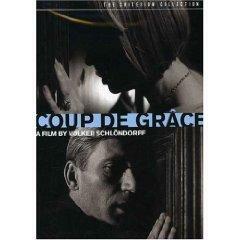 Le Coup de Grace is in German with English subtitles. 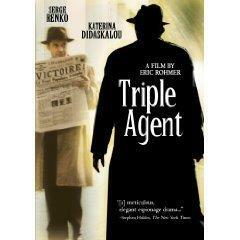 Loosely based on a true story, director Eric Rohmer’s film Triple Agent cleverly examines the complicated politics of the turbulent years 1936-37 through an unsolved mystery involving espionage. 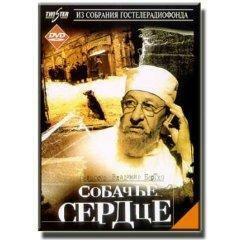 Fyodor Voronin (Serge Renko) is a White Russian who’s part of the emigre community living in Paris in the 30s. He’s a former White general, and he works for the Russian Army Veteran’s Association. While ostensibly he works to assist the former soldiers, part of his job is to prevent soviet agent infiltration. The emigre community is still reeling from the bold 1930 kidnapping of White Russian General Kutyepov. Fyodor’s wife of 12 years, Arsinoe (Katerina Didaskalu) is an artist who has little interest in her husband’s politics. They appear to have a loving marriage–although Fyodor leaves for long periods of time. This is a dangerous time when even the seemingly simplest conversation can reveal shifting political alliances. Seasoned director Eric Rohmer blends footage of the time with the action of his characters. Against the backdrop of the rise of the Popular Front, and the election of France’s first Socialist Prime Minister, Leon Blum, Arsinoe makes friends with the communist neighbours who live upstairs, and Fyodor isn’t thrilled about this. Arsinoe, as usual, laughs off her husband’s worries, but gradually, she begins to suspect that he’s tangled in a web of international intrigue. Fyodor seems to be remarkably well informed, and this gains him a great deal of respect in many quarters. While he admits he “pulls strings” he refuses to explain just how he gains some of his information. The Spanish Revolution begins, and with the shifting unrest, Fyodor’s involvement in espionage appears to increase. His confidences to Arsinoe become bolder, and he’s giddy with his own sense of power. To him, espionage is “just a game of chess.” He even anticipates Stalin’s devious involvement with Spain and argues that “Spain is a training ground where you size up your opponents, and you don’t care who wins.” Then news of Stalin’s purges spreads to the emigre community, and soon it’s no longer clear just who Fyodor works for …. It’s best to come to this film with a sense of the political backdrop of the period as the film covers a vast range of political ideas here–decossackification, the Russian Revolution, Stalin’s purges, Stalin’s meddling in the Spanish Revolution, the Popular Front, Leon Blum, and the rise of the Nazi party. Like all Rohmer films, the action is driven by character and dialogue, and if you’re already a Rohmer fan, you won’t be disappointed in this intriguing film. Special mention here for a great performance from actress Katerina Didaskalu who plays Arsinoe–a woman who is forced into a painful confrontation between love, loyalty and morality. The DVD includes a documentary that examines the real-life unsolved mystery of General Miller and Nikolai Skoblin. A French historian does a marvelous job of placing the mystery in the context of its time, while the niece of Skoblin argues for her uncle’s innocence–fascinating stuff. In French, Greek, German, and Russian with English subtitles.